A lot of snow is still here in Finland in the northern hemisphere but day after day it is more light. 1st place: Tarja Trygg; competitive work "Suomenniemi"
1st place: Tarja Trygg, competitive work "Arabia"
2nd place: Tarja Trygg, competitive work "Cathedral"
The solargraphy project is still going on. 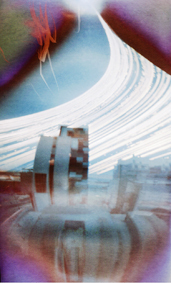 I wish you a lot of fun with solargraphy!